Van Kempen takes inspiration from the nature-inspired forms of Art Nouveau for these delicate drop earrings. 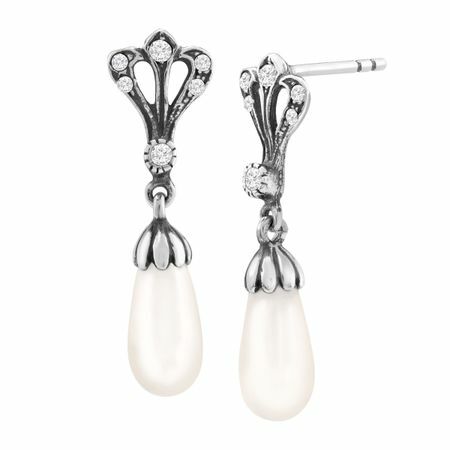 Glistening simulated shell pearl drops are suspended from a setting of sterling silver embellished with shimmering Swarovski crystals. Pieces measure 1 5/8 by 5/8 inches.